This year’s T-130 C RS comes with some very exciting upgrades. 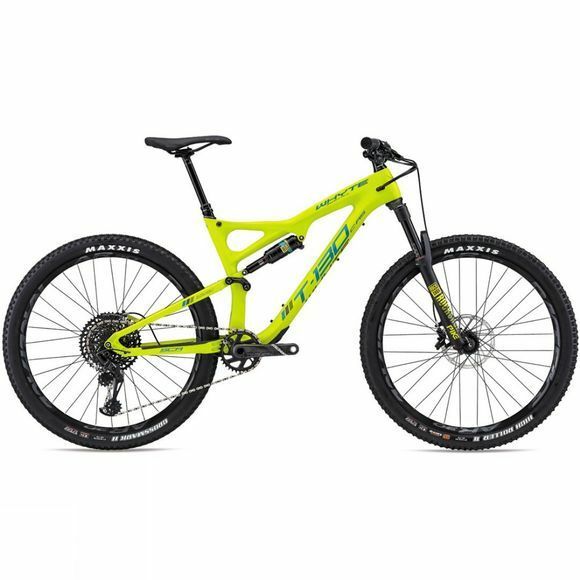 Its even stiffer and even lighter carbon frame earned a perfect 5/5 in reviews this year from What Mountain Bike Magazine, and it is easy to see why. It handles superbly, taking you up and down any trail with finesse and confidence. Whyte have also graced the T-130 with an all-new Eagle GX 12 speed drive chain from SRAM. This evolutionary groupset gives an incredible 10-50 gear spread cassette, allowing the chainring to be increased to 34T, giving both top and bottom range improvement. The T-130 also features a full width main pivot which works to increase torsional stiffness, helps extend bearing life and maximises suspension performance. 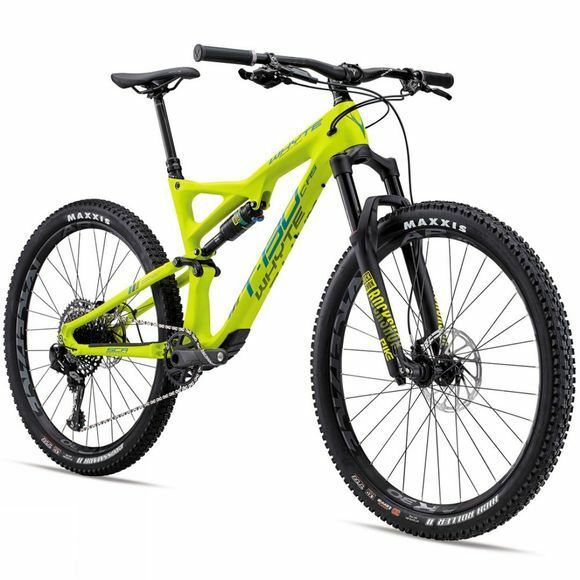 More than capable RaceFace AR-30, sleeved joint, UST Tubeless rims are paired with Maxxis TR tyres to give exceptional levels of control. And, both front and rear hubs have been designed with wider flange spacing, which gives a stiffer wheel and helps to improve handling.